Back into another Boutique-y Rum Company release. This time it’s a blended Rum comprising entirely Jamaican components. You can read a little about another Boutique-y Rum release and a little about the company itself here. Now that has been said, let’s get into its ribs. The bottle hints at the use of Dunder with its skull and crossbones and bubbling, festering pit hogging the label. We also get little in terms of information. 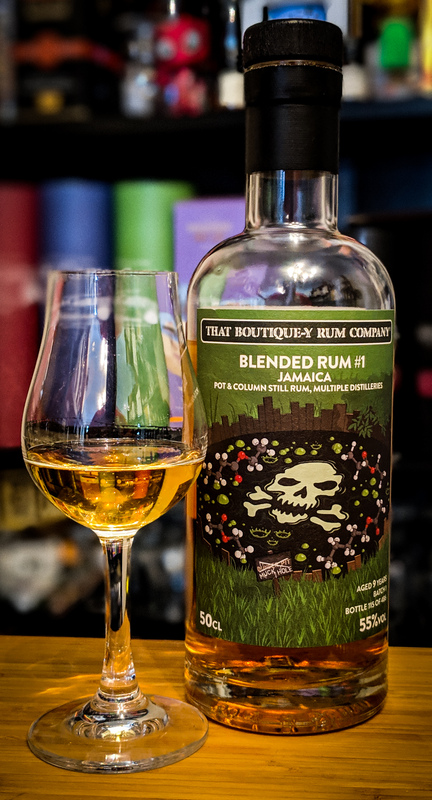 Just that the blend is composed of Pot AND Column Rum from a mix of Jamaican distilleries. Digging a little deeper we can ascertain that the blend components were distilled at some point in 2008 and bottled in 2018 making the blend 9 years old. Requesting info from Peter Holland has revealed more information. The Pot Distilled components are from Long Pond, New Yarmouth, Clarendon (Monymusk) and the Secret Distillery from Lluidas Vale…..*cough* Worthy Park *cough*. The Column component is from Clarendon (Monymusk) too. Long Pond has seen a fair few releases recently and sitting around 18 miles away from Hampden it is also located in the Trelawny Parish. It releases very vibrant and fruity Rums from my experience with some of the continental aged products that I’ve tried and a fair few batshit mental offerings if the NRJ Velier releases are anything to go by. The VRW and STC❤️E are beautifully drinkable expressions whereas the TECA and TECC releases are monsters. New Yarmouth is the home of J Wray & Nephew and we have been fortunate to see some amazing releases from the distillery via Compagnie des Indes….Ethyl Acetate is king in these bottlings. Clarendon, the home of Monymusk and Captain Morgan produces both Pot and Column distillates and is more of a large scale modern facility. Worthy Park you will know all about. So as you’ll see, quite a varied blend and hopefully the results will be positive….but there’s only one way to find out. Mouth: Initial entry is beautifully sweet with a very heated follow-up. It’s quite spirity initially and does display some of its 55% abv. You soon acclimatise to this though. Very fruity. It’s reminiscent of a mixed tropical fruit jam. A beautiful interplay of Pineapple, Guava and fresh Papaya with just a squeeze of lime juice. 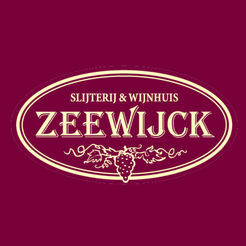 The mid palate brings the weight of the oak into play and this begins to dry your mouth from the tongue back. Spiced oak and pepper in turn announce vanilla, salted caramel and a beautifully sticky molasses note. The finish is not particularly long, choosing to make a sharp exit. Grilled pineapple, fresh papaya and a hint of that beautifully enticing caramel right at the back-end with lingering peppery oak dead centre of your tongue. For me, this one is all about the nose. It’s so nuanced and interesting. You get the feeling that you’re experiencing some great individual distillates. The palate whilst it never reaches the extreme highs of the nose is superb. I have enjoyed it neat, it makes a great Milk Punch, Rum Cow and the other week I made a most enjoyable Jungle Bird with it. 485 bottles of this blend have been released and I’m on my bottle number two. I may even pick up a third before it disappears from shelves. I suggest that you follow suit. That Boutique-y Rum Company follows hot on the heels of two other That Boutique-y entities…..their Whisky Company and Gin Company. I own a bottle of the Spit Roasted Pineapple Gin and also a couple of the Whisky bottlings….a lovely 11yr Aultmore and a killer peated 8yr expression from The English Whisky Company. I was clearly going to be very keen to pick up a few expressions from the rum range…..seemingly I ended up buying more than “a few”. But a little about the company first. 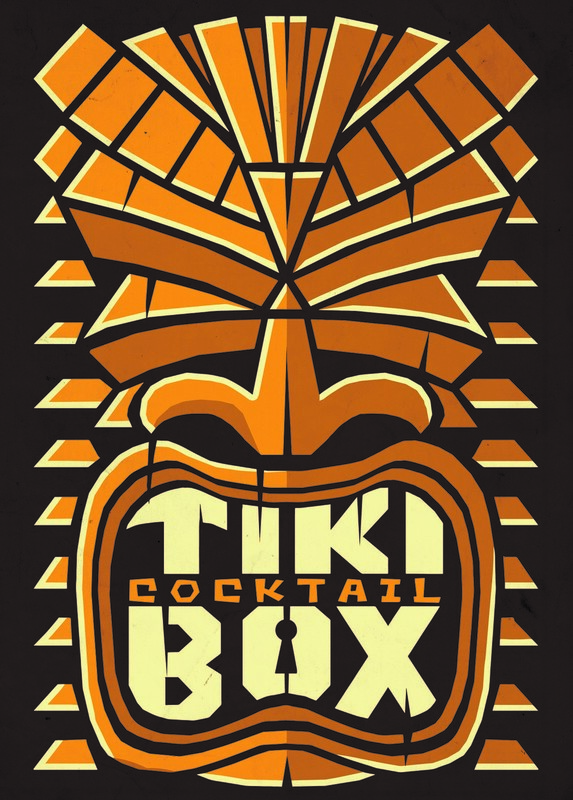 The premise behind the company is to bring interesting expressions, not categorised by colour or ‘style’ to Rum Geeks, Adventurous Rookies and the Rum Curious. With the consultant at the helm being Peter Holland, they’ve certainly managed to bring a few interesting things to the market. 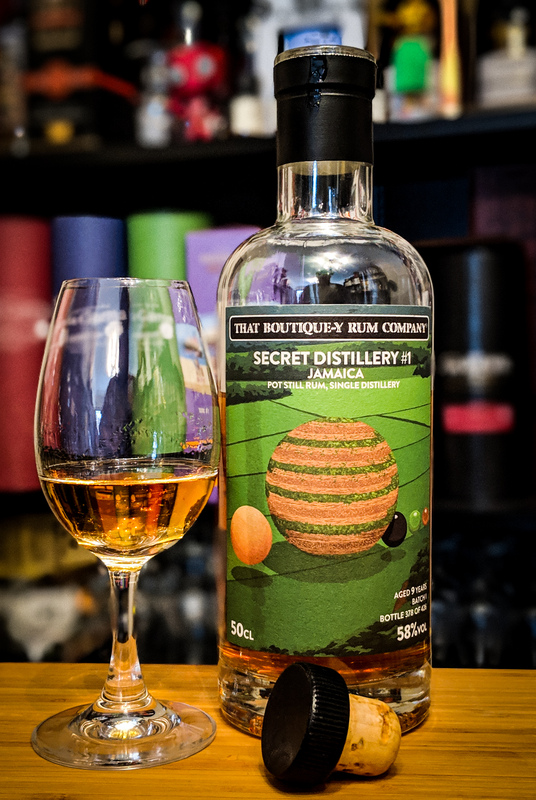 So far I have picked up Blended Rum #1 – Jamaica (2 bottles), Diamond Distillery (Versailles Still) 13yr Old, O Reizinho 3yr Old from Madeira and this Secret Distillery #1 – Jamaica 9yr Old…..so let’s get into it. Let’s tackle the elephant in the room…..Secret Distillery. There’s only one distillery in a Jamaica that doesn’t permit independent bottlers to use the distillery name on the bottle….so we’re obviously dealing with a Worthy Park product. You can familiarise yourself with the work of the quite excellent Worthy Park here. No year of distillation on the bottle but an age of 9yrs coupled with a release in 2018 would lead me to see it as being from a 2009 distillation. Mine is bottle 378 of 426 and it has been bottled at 58%. Whether that is cask strength or reduced, I’m unsure….the upcoming Worthy Park 12 year Barrel Strength is noted as being 57% so I would say that it’s probably as close to cask strength as rounding down will allow. How many of its years have been spent in a tropical climate is unknown…but I’d hazard a guess at in excess of 5. I have queried the maturation locations and also the barrel marque so will hope to feed back. Although not noted, I’d also assume the ethos of the brand is no caramel colour and no chill filter. For future releases I’d like to see maturation location(s) listed similar to the Transcontinental and Excellence Rhum bottlings. Maybe an evolution of the rear label to include a little more info….or have it website listed. Anyhow….onwards. Nose: Quite boozy initially. It shows its 58%. Time definitely aids this Rum as it definitely opens up. Certainly Worthy Park, but we don’t get the immediate up front banana in this. Instead it’s more spice led. Ginger juice. Spiced Fruit cake mix that has just been put into the loaf tin…think Raisins, Dried mixed peels and Molasses. This develops through a little of the Worthy Park stewed black tea and dialled down overripe banana to reveal a touch of Bakewell tart. Time brings a growing sweetness of cola pips, Perfumed oak and Wham Bars. Spiced barrel notes linger on the nose. Not completely your typical Worthy Park. Mouth: Warming entry with a few sharp fruity notes. Gooseberries. Some fresh green apple. This is short-lived and soon develops into quite an oak led experience on the palate initially. Dry with plenty of black pepper. Vanilla. Spicy barrel notes and a hint of freshly picked pineapple mint. The mid palate is all tropical fruit. Banana, light Pineapple and Guava. This is accompanied by coconut shavings and molasses. Spice bun. Burnt sugar on Scottish shortbread. The long finish brings more of those spicy barrel notes and black pepper along with development of the frangipane element of a Bakewell tart. There is a development of sharp fruity white wine notes towards to back end…wait long enough and pleasant medicinal notes appear. It’s a strange one to sum up. I enjoy this Rum, even though it’s not your typical Worthy Park expression….maybe I enjoy it because it’s not a typical Worthy Park expression. I enjoy a few other Worthy Parks a lot more though. But these are the fully tropically matured offerings such as the Habitation Veliers and the Estates own releases. All of the above aside, it’s a good, but different Worthy Park offering. It’s definitely a grower, and time is most certainly its friend. A very good example of multi location matured Worthy Park. Plenty to enjoy.